Bring the range to your home and office – the only training pistol on the market with recoil and sound that will let you train as if you are in the range, without range fees. Professional tactical training for home defense is now easier than ever. Train safely with your family and friends for real scenarios and realistic drills, with no need to cycle the gun, anytime, anywhere. 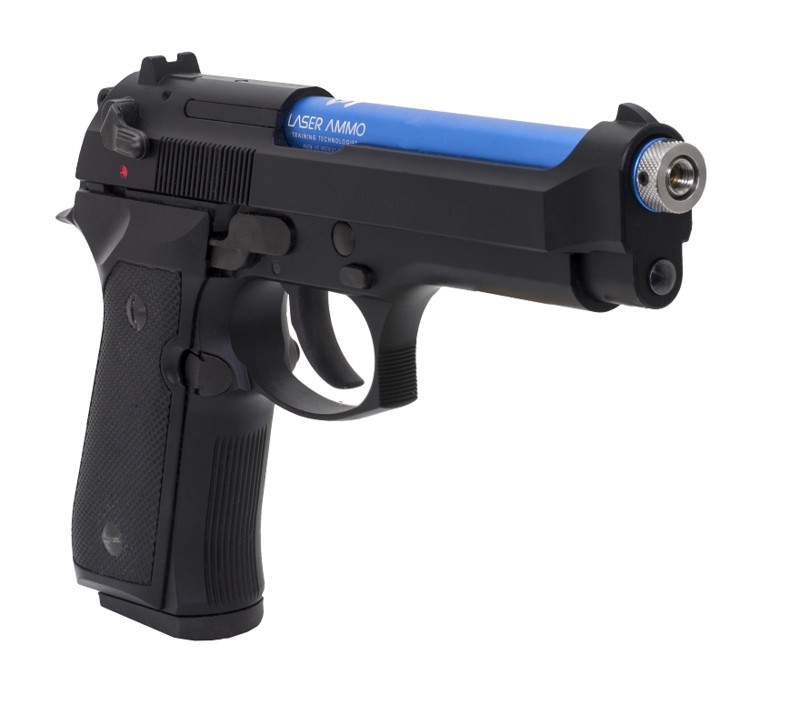 The recoil enabled training pistol includes a KWA M9 PTP gas blow back airsoft pistol (fits many of the Beretta M9 holsters) with the Recoil Enabled Airsoft Laser (REAL) drop in barrel and a vibration activated SureStrike™ cartridge (choose between red/visible or infrared/invisible). Pair the training pistol with the I-MTTS and the Smokeless Range® simulator for a full tactical and judgmental training session with 100% safety. 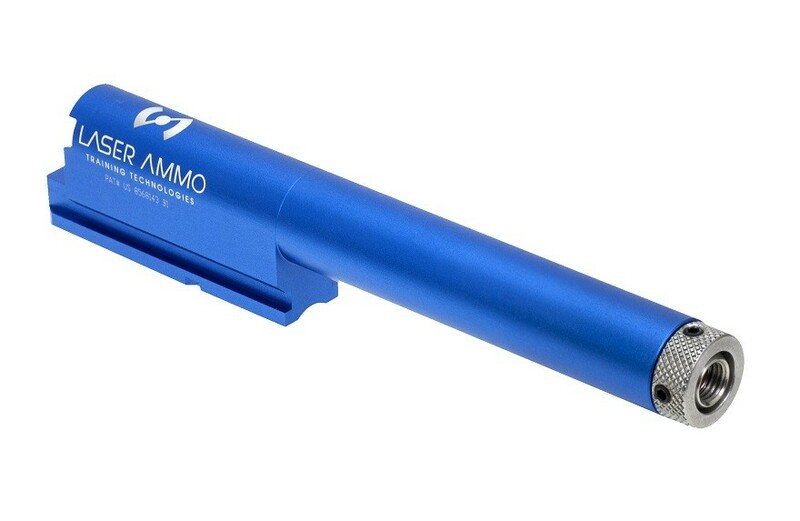 Continue to train outdoors with pellets: the package includes the original barrel of the M9-PTP to allow for an easy conversion for a best-in-class airsoft that allows for more training outdoors. 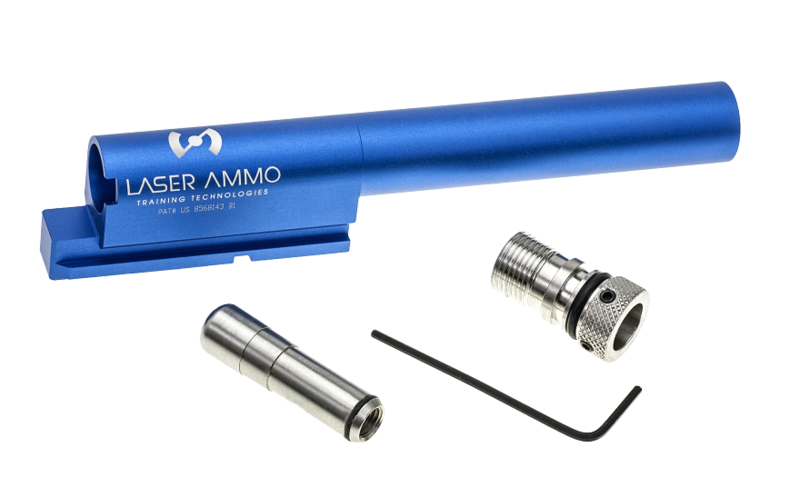 * The gun comes fully assembled with the REAL conversion barrel and SureStrike™ Vibration Laser Cartridge. ** Green Gas is not included. Please make sure to purchase gas in order to operate the training gun. 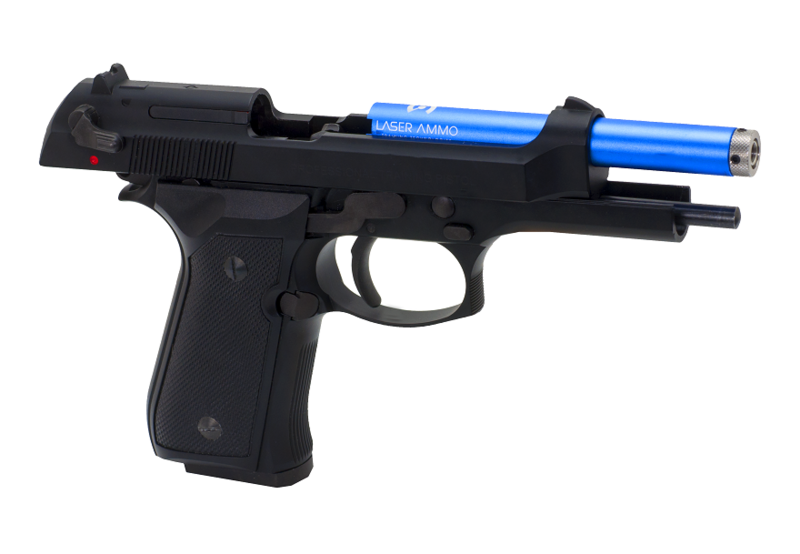 The KWA M9 Professional Training Pistol is the first production KWA gas pistol to utilize the innovative NS2 Gas Blowback System. 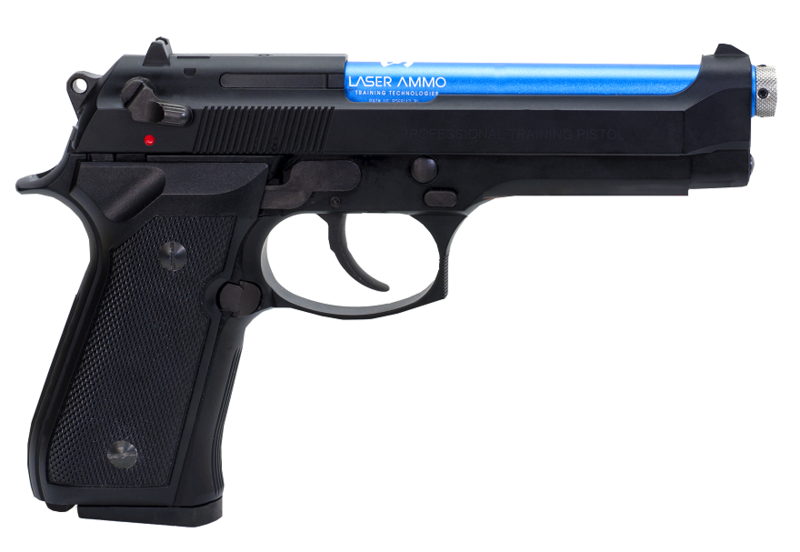 The KWA M9 PTP operates in both single and double action and features a working de-cocker safety that allows the user to train with M9 weapon manipulation. The full metal lower frame and slide are designed to accurately replicate the dimensions of the M9 to fit into many currently existing M9 style holsters and accessories.